In this follow-up to his acclaimed debut, True Religion, Palmer Chinchen helps believers develop a God-centered response to suffering. As Christians, we often act as if the right beliefs and behavior will allow us to avoid the darkness of pain. Yet everyone is touched by loneliness, heartbreak, and losing loved ones. And when pain happens, it can seem as if God is asleep, indifferent to our struggles. 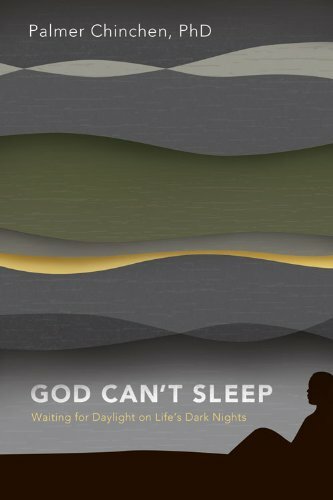 In God Can’t Sleep, Chinchen tackles challenging questions: Where is God when life hurts? How long will I stay in darkness? When the world is so full of bad people, why do I have to suffer? Readers will be encouraged to embrace a Savior who is always awake, and inspire them to carry His light to a hurting world.